Just a catch up to new comers.This journey was started in 2006.I had a removal of a lobe in my lung where they found a 2cm cancer tumor.Lots of that info can be found on my 120 posts.You were my journal,my way to get out my feelings,and I know from your comments you appreciated me as well. Now,I am on a different journey,and I would like to share. November 2015,after an xray,pet scan,and surgery to take samples from my lung,I was told I had Terminal stage 4 Andocarcinoma,and it had metastisised to my lymph nodes.It was incurable,and I would have 4 to 9 months. The Dr. spent 15 minutes with me,and said.We want you to have a quality of life. "Your health is not good and radiation,and/or chemo could kill you"Wow!It is now 28 months later,and I am here,or am I.
I received a letter after my last scan May 10th/2017,that read. "Biopsy proven Adenocarcinom subcarinal tumor has resolved itself.DESPITE NO THERAPY". Now,what happened.I told the dr. that I Believed,and had many prayers. So,it brings up another post I will write soon.Should we be told when we are going to die? 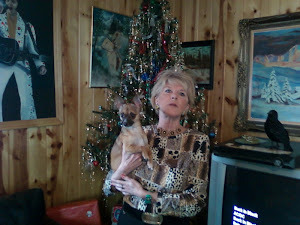 I never crawled up on the couch,I never cried,(honest),and continued to make plans for the future.But,But,But,I never really came back.I stayed tired,lost weight,I am 90 lbs,5ft,and just turned 67. They said to have a quality of life,but I have kind of been bed ridden of late.I should be celebrating but lately,I have gotten depressed,and I know why. I think I have begun to not see a purpose. I have a husband and three boys,and a grandson. How can I say hello,connect,when I have to say good bye. I recorded my dr. on our first visit.He said noone has ever survived,the cancer was INCURABLE.NOW,maybe you can understand the title. This has been the hardest as my family has not seen me ill,so they didnt speak to me much about it.I also never made plans.I had a paper on my fridge.It was a DNR,(do not resusitate order)I think I really still dont know,Am I Living or Dying??? I would appreciate your views on this. Its a good news story now,but how can the best of the cancer care be so wrong??? I am grateful everyday.I just regret not having money,or energy to enjoy.I am a miracle,as mentioned in my last post,but I feel like I am wasting these precious moments,just looking out my window. There is nothing wrong with me.I do my personal consulting work,I have my arms,legs.I am the same now and during the cancer.There are a lot of real issues,but,I have been so blessed. Those of you who are suffering ,I will be there soon.Doctors cant believe this. At first 6 visits they said the tumor appeared to be shrinking,but said it was probably just because the xray was on the wrong angle. Leaving this rambling post on a good note.